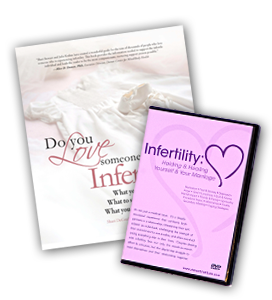 The Guidebook PLUS a comprehensive video of the frank and revealing professional interviews of 4 different infertile couples. These couples’ candid stories will touch your heart and empower you in the search for your heart’s desire. Video is 135 mins, divided into chapters for easy discussion breaks. Put words to your experience!